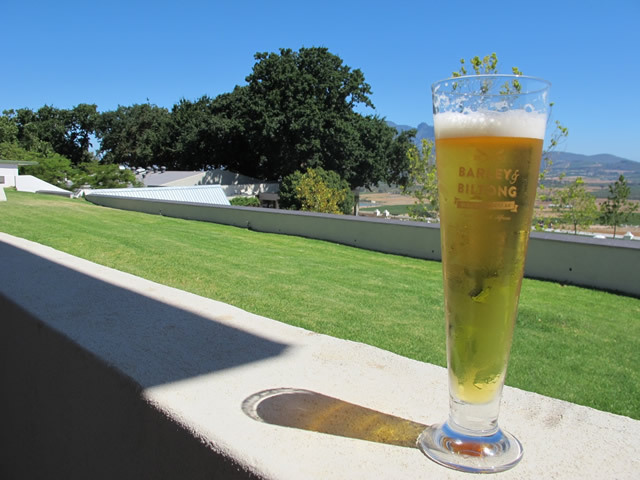 Can you think of a better way to cool off after a long, hot day hiking in the rugged and insanely beautiful Cederberg Mountains than with a beer brewed right here between the craggy peaks? 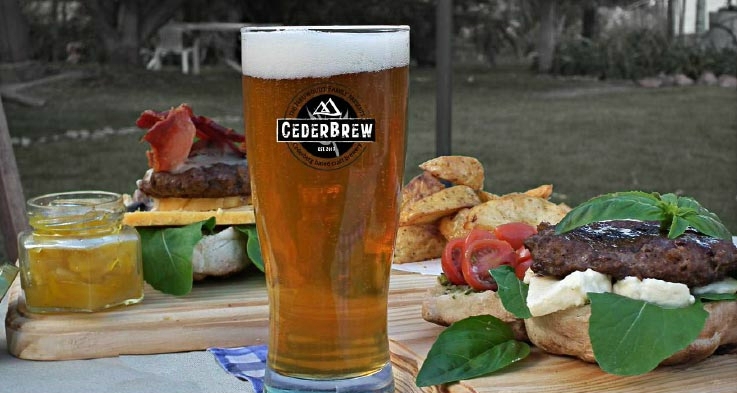 Sisters Melanie and Tania Nieuwoudt launched their brewery in 2014 on the guest farm their family has inhabited for seven generations. You can ride horses, fish in the river, clamber up sheer rock faces or just sit and sip the acclaimed Chubbyhead Stout as the setting sun turns the sandstone mountains several shades of fuchsia. Campsites or simple cabins seal the deal, meaning you can imbibe a second or third pint without worrying about who’s holding the car keys. 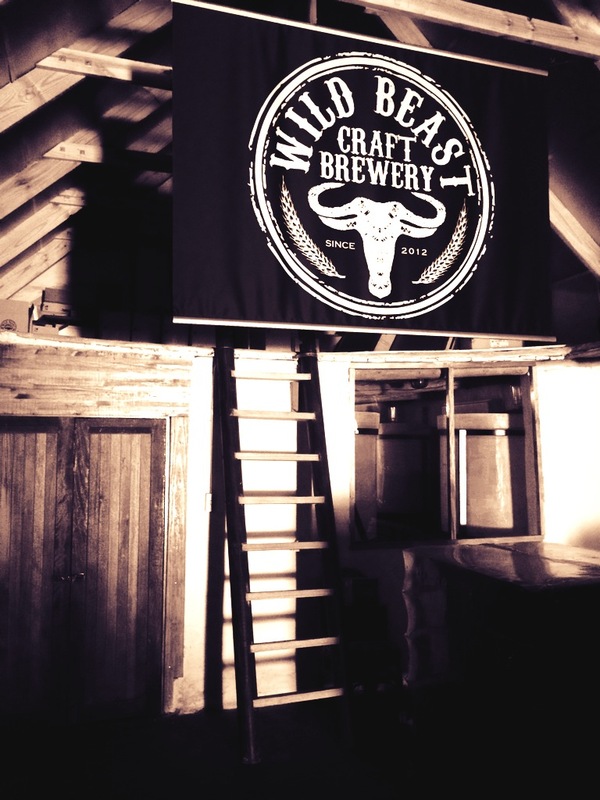 Based in the glorious Cape Winelands, Wild Beast is one of very few breweries in South Africa where you can guarantee sightings of small game while you sip your beer. Grab a glass of their amber or blonde ale to enjoy on the lawns overlooking the small game camp. Here, against the quintessential Winelands mountain backdrop, you’ll spot zebra, springbok and the animals that give the brewery its name and logo – wildebeest. With giant eisbeins and salty pretzels accompanying glasses of full-flavoured weissbier, crisp and bitter pilsner or the richer, roastier dunkel, Brauhaus am Damm offers a little piece of Germany, but the view is all South African. 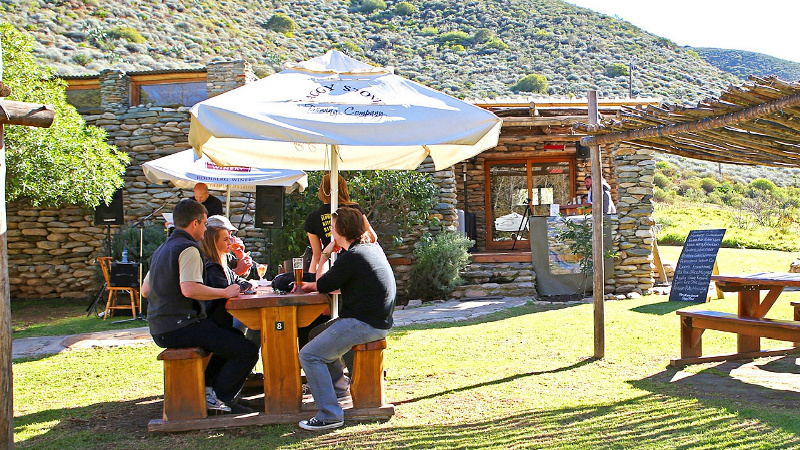 Take your tasters – or pints, or litre-steins – of beer onto an expansive deck overlooking the pretty Olifantsnek Dam. Or if you prefer copper kettles to reservoirs and mountains, take a seat in the dining room, where the shiny brewery takes pride of place. Everything about this little brewery is gorgeous. The wood-panelled equipment is quaint, the pub in which it sits is a darling little building and the surrounding town, with its towering trees, emerald-hued mountains and complete absence of paved roads is utterly adorable. And then there’s the region around the town, a mountain-meets-forest-meets-ocean spot renowned for its outdoor adventures. But if you don’t fancy hiking along the coast, swinging between the trees, wading through rivers or hurling yourself off a bridge, you can join brewer Chris Sykes for the more sedate pastime of tasting the duo of ales on tap. 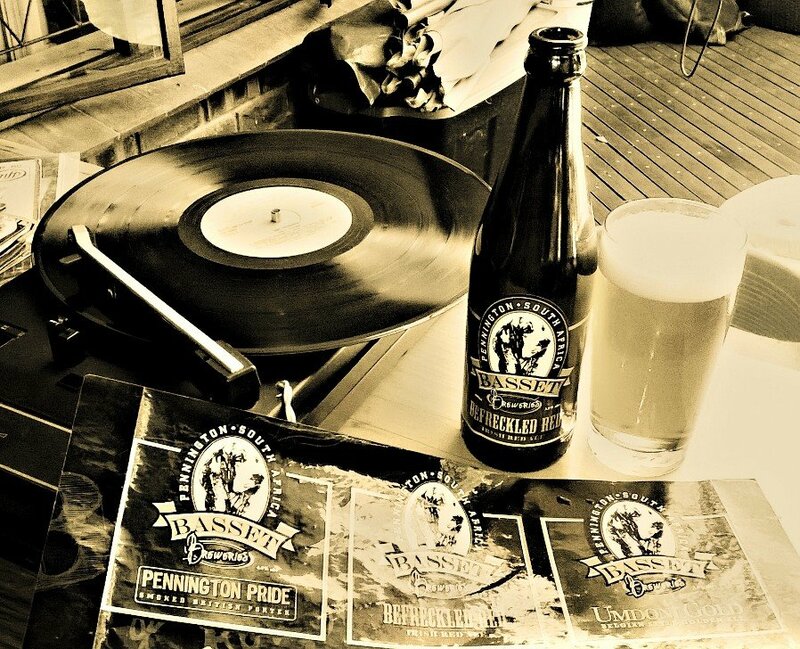 After three decades in an industrial park, South Africa’s oldest microbrewery has finally moved to pretty premises. Now you can grab a pint of the refreshing Forester’s Lager, the well-balanced Bosun’s Bitter or perhaps something more warming like the 90 Shilling ale (with added cinnamon) and sit on the deck with views of the Knysna lagoon, Thesen’s Island and the notorious Knysna Heads beyond. Simple food is available or order in advance if you’d like a platter of local oysters to enjoy with Mitchell’s Raven Stout. One of the country’s largest craft breweries, CBC is the kind of place you could spend a whole day. Start with a tutored tasting of the brewery’s lager, pilsner, weissbiers and IPAs before exploring the rest of the Spice Route farm. There’s a chocolatier, a biltong bar, two restaurants, wine tasting, tea tasting, kids’ play areas and to top it off, a supreme view of the mountain-fringed region from every corner of the farm. The Free State sometimes gets overlooked by travellers, its landscape of vast, flat cornfields failing to impress. But head to the east of the province, where South Africa and Lesotho meet, and you’ll find green-drenched foothills leading up to the impressive Maluti Mountains and further on, the Drakensberg. 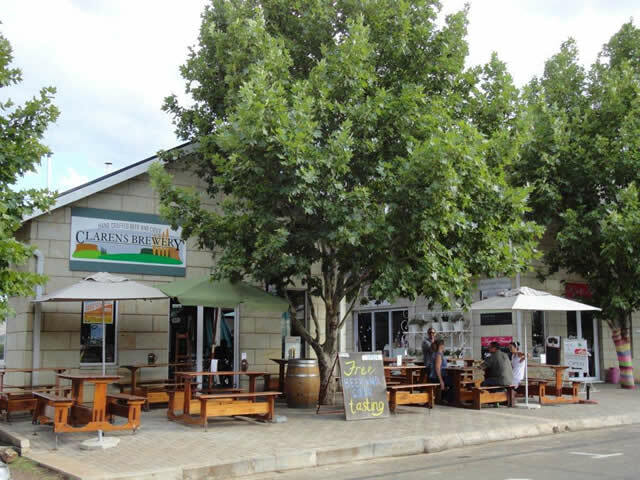 Exquisite Clarens, with its cluster of restaurants and well-known art galleries, boasts prime views of Lesotho’s peaks, best viewed with a glass of the brewery’s red ale in hand. The brewpub overlooks the village square, where each February a large-scale beer fest takes over the town. 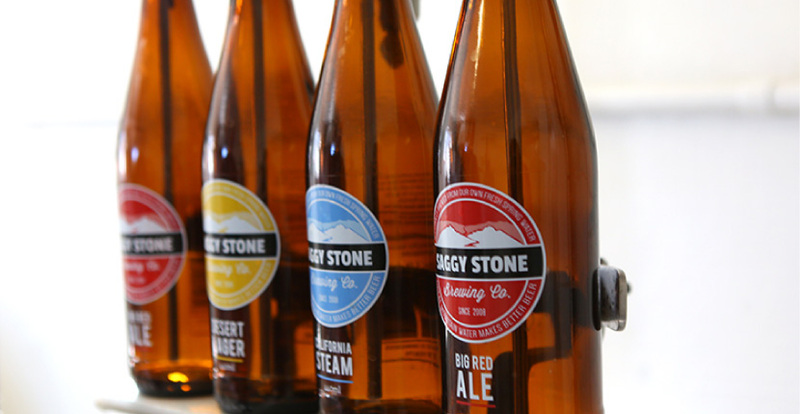 Tucked away amid a web of gravel roads in the northern reaches of the fertile Breede River Valley, Saggy Stone is one of the Western Cape’s most off-the-beaten-track breweries. If you’re joining for a weekend lunch be sure to book ahead, for the grounds quickly fill up with local families and visitors from further afield who come to munch on wood-fired pizza, sample the quartet of brews and of course to contemplate the rolling hills of the Langeberg range. Overlooking a driving range, this quaint log cabin brewery doesn’t quite boast the views of some of the country’s other watering holes, but the surrounding region is remarkable, with lush forests giving way to powdery white beaches and later to the turquoise waters of the Indian Ocean. Back at the brewery, sample the Umdoni Gold, a light ale ideal for the often tropical temperatures here. South Africa’s smallest and most densely populated province is perhaps not the first you’d think of when conjuring up a pub with a pretty view, but when you’re sipping a blonde ale in suburban Modderfontein, you quickly forget that downtown Johannesburg is just 40km away. 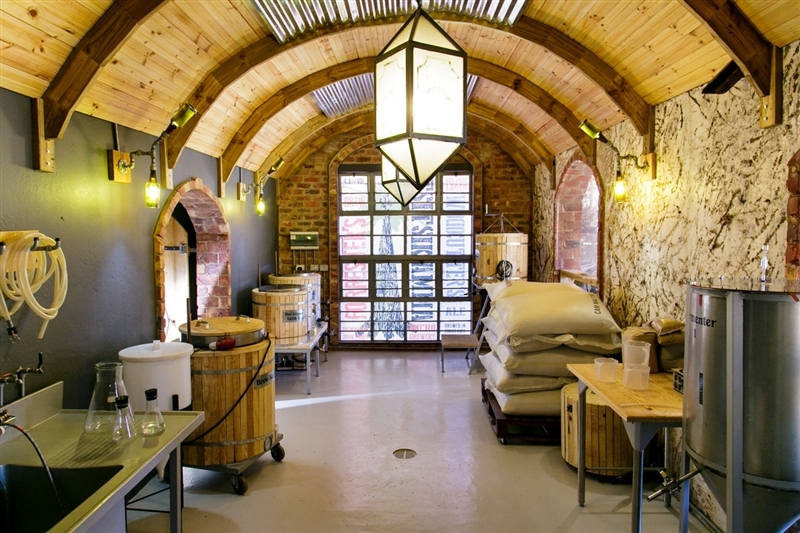 Sit under the giant oak tree on this heritage property and order some Portuguese treats from the adjoining restaurant to soak up the beers from South Africa’s first all-girl brewery. Lucy Corne is a freelance writer and Lonely Planet author who fell in love with Africa on an overland trip from Cairo to Cape Town. As well as writing travel features for publications such as The Guardian, BBC Travel, Beer & Brewer, Getaway and Wanderlust, she is the author of a popular blog documenting the beer scene in her adopted home, South Africa. Nothing makes her smile more than pre-dawn coffee before a game drive or sundowners at the end of a long day on safari. See more of her work at www.brewmistress.co.za or www.lucycorne.com.